For 15 years, Nadim has been advising top management of international financial institutions to answer their strategic challenges such as business development, market entry, operational excellence, organizational design and turnaround. Thanks to work experience in 13 countries in Europe, Africa and the Middle East, Nadim developed a unique expertise in bringing to Egypt the best and most innovative business practices already developed in similar markets. 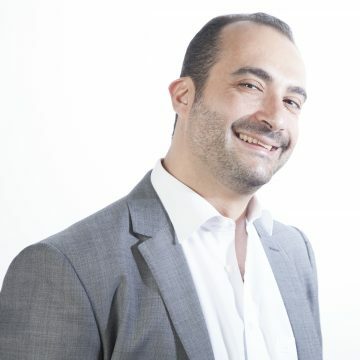 After creating Stratexis in Egypt and opening an office in the Greek Campus, Nadim developed a wide range of clients and Partners, including Financial services, Foreign and local Investors, SME and of course Startups, particularly helping them in raising funds Nadim holds a Masters degree in engineering and a Masters degree in business from Top universities in France, in addition he completed an Executive MBA from Insead ranked #1 in latest Financial times survey.